Yesterday, we shed some light on a blouse-drycleaner scam that's been circulating throughout the upscale restaurant circles, and today, we're pleased to share another, even more ridiculous would-be scam. If you know of any other scams going around, definitely pass them along to sf@eater.com. The ploy for this one is even more far-fetched than yesterday's: a person emails the restaurant with the desire to book the place for three consecutive group dinners (in a letter that resembles those spammy emails from dying African princes with millions of dollars for you if only you share your credit card). Well, one heavyhitter local restaurant tried to see how far the group dining scammers would take the act (note: not the pictured Fifth Floor; that's just a graphic). As it turns out, they got pretty deep into the process before cutting off communications when the scammer promised to pay after the three meals because he's currently on an oil rig. Seriously people, can't we conjure up some vaguely-believable scams? I am Engr Andy Jakes, the director of Staff welfare Aiken Offshores United Kingdom. I want to book dinner for my group of workers . They will all come for dinner in your place as from Oct 13th, 14th and 15th, 2008 by 6:30pm each day. They are 15 in number.Get back with your response if there is availability in your restaurant. Thank you for your inquiry! I am forwarding your reservation request to our events manager. Please let me know if you have any other questions or concerns! Many thanks for your response.We will appreciate if you prepare a 3 course menu for my group for the dinner No special dietary. Kindly provide the total cost of the dinner for the 15 persons for the 3 night dinner so as to provide my credit card details for full payment confirmation. Thank you for this additional information. I am forwarding this to [redacted], who is responsible for our large party reservations. She will be able to assist you further and let you know of our availability. 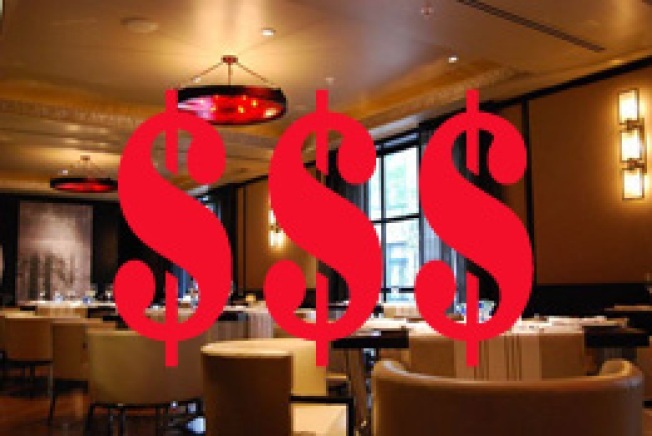 To answer you question regarding dining cost, this is dependent on your menu and wine selections. Again, [redacted] will be able to provide you with more information. Thank you again for your interest! You should be hearing back from [redacted] shortly. It would be our pleasure to host your group on all three days; October 13, 14 and 15th, 2008 for 15 people. As it stands now, we have room to accommodate your group. We have a few options for group dining - either book before 6:15pm, after 9:00pm, or we have an “entire evening” option with a minimum guarantee. The closer we get to the date you’ve requested, though, the less chance we will have of accepting your reservation. We do request a set menu for groups of 13 or more. I have attached our current Group Dining Information for your review. There are some facts regarding our restaurant and dining room as well as items for you to select from for your group. We would be happy to help you select a menu that your group is sure to enjoy. If, after having a look over our information, you decide to go through with the reservation please contact me as soon as possible and I will send out our confirmation form to guarantee the reservation. You can also find information regarding group dining on our website . Please do not hesitate to call or email me if I can be of further assistance. We look forward to serving your group! Thanks for your reply and assistance so far and we will book for the dinner.I will make a payment deposit of $5,100 which will cover their meals and drinks in advance because we are not sure of what your guests might like to drink or how much they are likely to consume. Moreover, we were able to make an arrangement with a pre-paid car hiring agent who will supply the guests with vehicles that will be used by the guests to and fro your place. So in order not to share my credit card information with a third party, I have decided that only you will have to handle my credit card information. More so, the prepaid agent is not yet a credit card merchant therefore cannot charge credit cards. On my own side, I would have sent him his money directly, but am on the high sea work on an OIL RIG.. There are no bank or western union here where I can make payment directly to the agent. So once you are in receipt of my credit card details,you are required to charge the total amount of $12,100 + processing fees on my card,then deduct $5,100 as initial payment deposit for the dinner(meals and drinks) and send the balance of $7,000 to the prepaid car hire agent whose information I will forward to you once this is confirmed. Confirm this and provide me with your (1) YOUR FULL NAME (2) FULL ADDRESS (3) PHONE NUMBERS for office record. Please be advised that we shall pay for all expenses and fees incurred as a result of the entire amount to be charged.